In this complex world, simplicity can often shine through and illuminate true beauty. 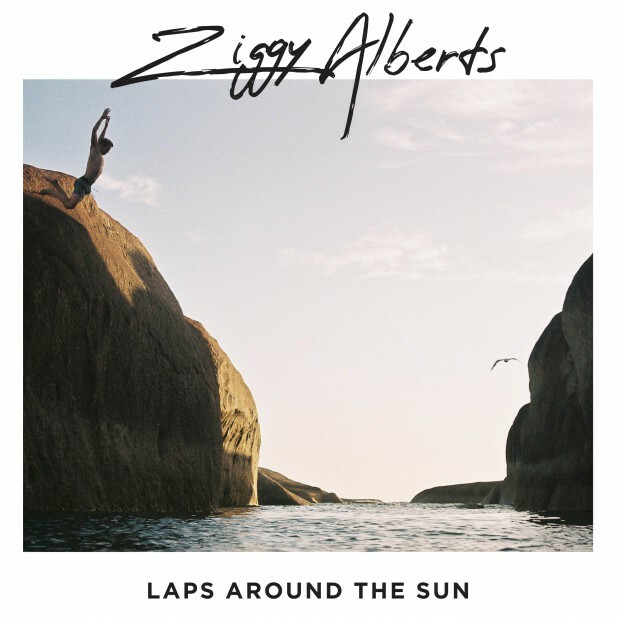 Laps Around The Sun, the third album from East Coast soul, Ziggy Alberts, mirrors that sentiment. Alberts’ buttery voice glides atop of an acoustic guitar or piano for the majority of the songs, marinating the accompaniments and elevating the emotion behind the lyrics. The ten track album sets a high bar, opening with the highly rotated single ‘Love Me Now’, the most upbeat song on the record with a hint of desperation seeping through the rasp of Alberts’ chords. It’s followed by ‘On Hold’, a tune bearing similarities to that of Jack Johnson’s catalogue with finger picking, palm tapping acoustics. This theme continues with ‘Laps Around The Sun’, ‘Bright Lights’, and ‘Worn Out’. It is broken up by heart wrenching piano ballads ‘Best Friend’, ‘3 Degrees South’ and ‘Stronger’. Speaking of strong, the final two tracks on the album, ‘Heaven’ and ‘Yu (A Song For Koda)’ make for a strong finish. Laps Around The Sun is simplistic, not to be confused with simple. Alberts purposefully accompanies his deep lyrics with silky, moody vocal lines and the appropriate backing arrangements to let the songs speak for themselves; a gift for your ears and soul.